How Are Smartphones Different from Regular Tracfone Devices? Should you buy a smartphone from Tracfone? What will change if you switch from a regular Tracfone device to a smartphone? We answer these questions and more with an explanation of how smartphones are different than 'dumb' phones and some things to consider before upgrading. So a smartphone is just a small computer that also has calling and texting capability included. There are two main operating systems for smartphones - Android and iOS. Only Apple smartphones use iOS (such as the iPhone 6, iPhone 7 etc. ), and the rest of smartphones use the Android Operating System (such as Samsung, LG, Motorola, ZTE, etc.). Android OS allows users to have access to over a million different applications through the Google Play Store. These 'apps' provide added functionality, and many are free to download and use. There are apps for nearly anything you can think of, ranging from music and radio streaming, to games and entertainment. Apple's iPhone devices also have a similar selection of apps that users can install on their phone. For more about Android OS, here is a link to the Wikipedia page on Android. And for our recommendations on some great apps for your phone, read our List of the Best Android Apps for Tracfone Users. Non-Smartphones - All other phones from Tracfone (visit our Cell Phone Reviews page to see them) often called 'dumb' phones. BYOP Phones - A program from Tracfone that allows you to 'Bring Your Own Phone'. (follow the link to learn more about this program) including iPhone and Android devices. So there are a few different types of phones to choose from, but we won't get into that. We will focus just on Tracfone smartphones, and comparing the difference between them and all other phones offered by Tracfone. 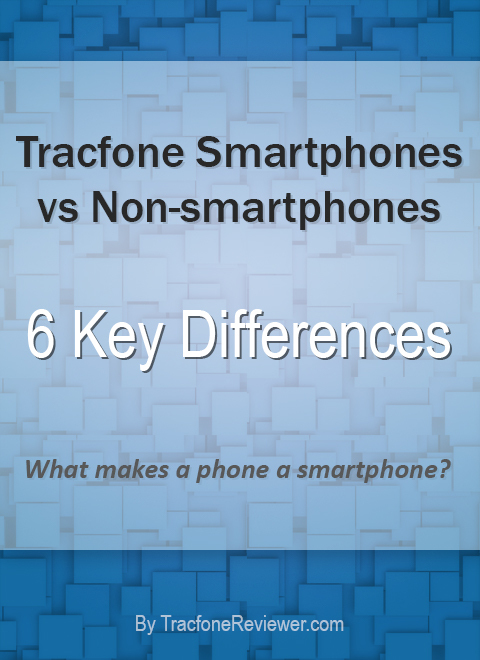 So let's get to the main question, how are smartphones different from regular Tracfone devices? A list comparing the major differences between phones with Android operating system, and all the rest that are available from Tracfone. Use this list to help choose whether an Android phone may be right for you. Note, Apple iPhone's use a different operating system compared to Android phones, but have basically the same functionality as far as apps and smartphone capabilities. Androids are called smartphones because of their increased functionality with access to standardized applications (apps). These apps can do many of the same things that computers programs do, including web browsing, photo editing, games and much much more. Apps for Android phones are available from the Google Play Store and many are free or just a few dollars. There are over a million applications and they do quite a number of different things. Access to applications gives Android phones almost unlimited functionality because you can always download and install a new app to do something you couldn't do before. Non-Android devices from Tracfone are usually limited to the features that come with the phone, like an alarm clock, web browser, etc. 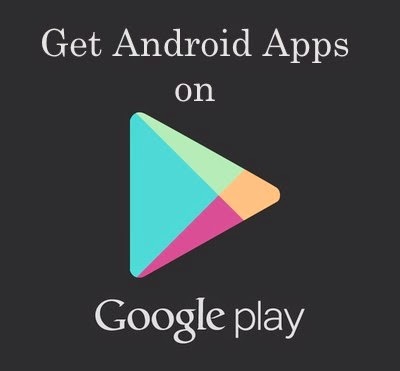 Visit the Google Play Store to see some of the apps available to use with Android. One of the major differences between Tracfone's smartphone devices and their non-Android phones is the way minutes work. On the non-Android phones (such as the LG 840G or LG 306G), when you add a 60 minute card, you get 60 minutes (or 180 if you have Triple Minutes for Life) for talking, texting and web browsing all in one 'bucket'. Also, texts cost only 0.3 minutes each. For Android smartphones (like the LG Fiesta or Samsung Galaxy Luna Pro), a 60 minute card will be split into three 'buckets' and give you 60 minutes calling, 60 texts, and 60mb data (and these will all be tripled to 180 with Triple Minutes for Life). So you get the same number of calling minutes (180), plus texting and data (180 of each)! Note that Tracfone stopped including certain smartphones with Triple Minutes for Life (follow the link to learn more). Phones running Android 7.0 or newer, or some devices released after April 1, 2017, might not have triple minutes so be sure to check on that if you are buying a new phone. The lack of triple minutes does not affect smartphone only cards, which do not triple anyway. It is also possible to buy only texts for your Tracfone, and buy extra data too. And Tracfone offers Smartphone Only Airtime Cards which may be a better deal for some users. So prepaid minutes work a little differently, but for most, this is very beneficial. Not everyone likes to use a touchscreen, but all of the smartphones from Tracfone have touchscreens at this time. This includes both Apple and Android devices. Most smartphones these days only have a touchscreen, it has become the standard, and most touchscreens have a good response and sensitivity. But if you prefer the feel of buttons under your fingers, then you might want to stick with Tracfone's like the Samsung S390G or Motorola EX431G which both have full QWERTY keypads. Additionally, you can visit our Tracfone BYOP page to learn about how you can bring a smartphone to use with Tracfone, including some phones with sliding keyboards. Visit the BYOP page for a phone list and all the details. Most of the newest phones from Tracfone are all Android or Apple iPhone devices. Although Tracfone does often release phones that are already a few months to a few years old, they are much newer than any non-smartphone devices from Tracfone. If you're looking for a newest phones from Tracfone, Android is where you should look. Keep up with the latest Tracfone cell phones in our recent post. Because the Android phones from Tracfone are newer and have more features, they also tend to be more expensive. Typically the phones will be priced above $100. There are a variety of online stores that offer some great deals, including deals with minutes. So shop around when searching for a phone. But not all of the Android smartphones are expensive, you can even get the LG Optimus Dynamic for $20 on Amazon right now. Just don't expect too much out of a cheaper smartphone. When Tracfone released smartphones they initially did not accept promo codes. But now there are promo codes for the new smartphone-only airtime cards, and some promo codes for regular airtime cards also work on smartphones. View our current list of promotional codes for Tracfone that also include several for smartphones. On smartphones with Tracfone you cannot choose which incoming texts you read (and are charged for). You are automatically charged for every incoming text, whether you read it or not. On older 'dumb' phones from Tracfone you can choose not to read a text, and thus not be charged for it. So be aware of this, and if you receive a lot of spam texts, you may want to change your number when changing to an Android phone from Tracfone. 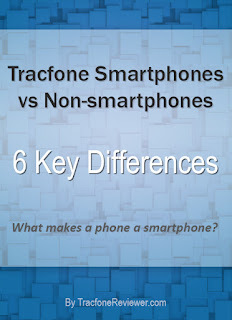 This concludes the list of key differences between Android smartphones and the regular cell phones offered by Tracfone. We hope these points will help you choose if an Android phone is best for you. If you have any questions, or additional points to add, leave a comment below! .Join us on Facebook where we have a growing community of Tracfone users and are able to respond to messages directly if you have special questions. Learn 4 Ways to Check Your Airtime with a Tracfone Smartphone if you're worried about keeping track of your minutes. Also take a look at our 10 Tips for Boosting your Cell Signal. Thanks for visiting, and we hope this information was useful! Welcome to 2018 and with a new year, we've also got new promo codes to share! 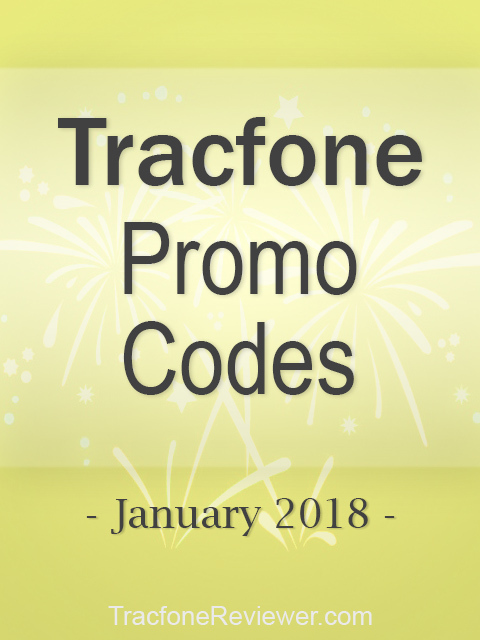 Each month we gather the latest promotional codes from Tracfone and share them here for our readers to use to get free bonus minutes when adding an airtime card with Tracfone. Each code is usually for a specific airtime card, but in some cases they can also be used with cards of greater value. There are also some codes for smartphone only cards that provide extra data. This list contains just the newest codes, for a more exhaustive list, visit our main Tracfone Promo Code page. To use these codes simply add them int he promo code box on the Tracfone website or add airtime over the phone and include the code when prompted. Get a glimpse of the future with our Predictions for Tracfone in 2018! Some codes may be one time use. These are the latest codes for January 2018. Let us know in the comment section below which code you tried and how it worked! Keep up with the latest news and information about Tracfone by following us on Facebook with a growing community of other helpful people! Learn about the difference between GSM and CDMA cell service (and how to tell which one you have) in our recent updated post. Also, learn all about WiFi calling for free with your Tracfone!